The only legal option to deal with a deceased pet until now was to leave your vet to organise with disposing of the pet’s remains and our understanding is that they end up in the dump. Burying them in a field or even in your private garden is apparently illegal! If any one wanted to have their pet cremated the nearest place they would do it was in Las Palmas. 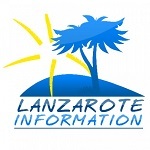 This has now changed thanks to two young entrepreneurs from Lanzarote Juan Reguilón Sainz and Eduardo González Miranda who had been considering the idea of this much needed service for the last few years. A couple of years ago they sat and looked at the figures more seriously. Finally the actual setting up of the business started in August last year and after a lot of planning and red-tape they are pretty much ready to roll it out. The name of the pet crematorium is HELA, after the death goddess in Nordic mythology and they are located in Calle Agustín de la Hoz Betancort, number 11 in Arrecife. HELA will work in conjunction with the veterinary clinics in Lanzarote, who will deal with the collection and delivery of the deceased pets. Vets will therefore be the intermediaries between the pet’s owners and the crematorium itself up to 95% of the cases. Although they don’t discard the possibility of dealing directly with the owners of the pets, they much prefer that people use their usual vet who will also deal with all the notifying Zoocan, the Canarian Register of Animal Identification, so they update their database. The services they offer at the moment are: – individual cremation which includes the basic urn and it means that you get to keep your pets ashes. You can upgrade the urn to any of the ones offered in their catalogue. – and collective cremation which is a more cost effective option for those who do not wish to keep their pets’ ashes. The prices of the cremation will depend on the size of the pet and there are two options offered: an individual cremation and a collective one. So, as an example and during 2017, a cat or a dog between 2Kg and 10Kg will have a RRP of €76 for a private cremation and €62 for a collective one. Bear in mind that each veterinary clinic will set up their own prices and that the ones mentioned here are the ones HELA is recommending as a guideline. These prices are in line with the ones that until now were offered by their counterparts in Las Palmas but shockingly are less than half price of the cost of these services in mainland Spain. In terms of how long it will take to get the ashes of your pet back, it’s hard for them to say at the moment. It will definitely all depend on the amount of demand that they will have at any given time. Just be aware that it’s not an “instant” service so it’s not like you’ll have your pet’s ashes ready to go within a couple of hours or even the same day. To have a more accurate idea, please ask at the time of requesting the cremation as they’ll have a better idea on what the timeframes will be then. For any enquires they prefer to be contacted via their web http://crematoriohela.com by email on info@crematoriohela.com, via their Facebook page crematoriohela or by whatsapp on 672 187 032 and lastly, as a last resort, by calling the same number as their command of English is much better if it’s written. We want to take this opportunity to thank Eduardo and Juan setting up this service that will no doubt offer a more dignified good-bye to our beloved pets when the time come. We were very sad when Louie, our Alsatian / Husky cross died – he had been our loyal companion for so many years and on so many of our Lanzarote adventures. He was a rescue dog from Sara, and he was put to sleep in Julie’s arms at our local vet. We left Louie with the vet, who called HELA and they collected him the same day. His ashes were delivered in an urn, just like the one in the image, a few days later. The service was excellent. Villa Benedicte is a gorgeous villa with amazing sea and harbour views, close to the fabulous old town and harbour area of Puerto del Carmen.